The ever-popular London Pantomime Horse Race hits Greenwich on Sunday, December 16th, raising money for charity with a few entries from triangle residents. The pre-race ceremony and subsequent race is always a great fun spectacle and is raising money this year for 'YouCan - Youth Cancer Support' - the team at ‘YouCan’ provide essential support and care for children and young adults with cancer and those who are in remission. 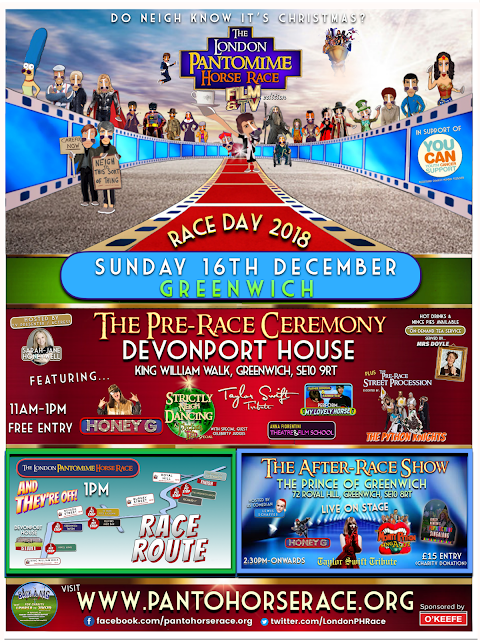 Full details of the event can be found at https://www.pantohorserace.org.